To claim this profile, please confirm you are Antonia Billante. To follow this profile, please let us know your relationship to Antonia Billante. RESULTLoss Girls varsity basketball @ Carson. The San Dieguito Academy varsity basketball team lost Tuesday's away playoff game against Carson (CA) by a score of 59-43. The San Dieguito Academy varsity basketball team lost Thursday's neutral playoff game against Mission Vista (Oceanside, CA) by a score of 38-34. RESULTWin Girls varsity basketball vs. Calvin Christian. The San Dieguito Academy varsity basketball team won Tuesday's neutral playoff game against Calvin Christian (Escondido, CA) by a score of 50-25. RESULTWin Girls varsity basketball vs. Hilltop. The San Dieguito Academy varsity basketball team won Friday's neutral playoff game against Hilltop (Chula Vista, CA) by a score of 45-39. The San Dieguito Academy varsity basketball team won Wednesday's home playoff game against Valley Center (CA) by a score of 54-29. The San Dieguito Academy varsity basketball team won Friday's home conference game against Sage Creek (Carlsbad, CA) by a score of 39-28. RESULTLoss Girls varsity basketball @ El Camino. The San Dieguito Academy varsity basketball team lost Tuesday's away conference game against El Camino (Oceanside, CA) by a score of 68-60. 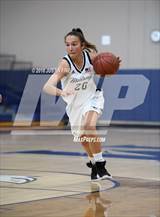 The San Dieguito Academy varsity basketball team won Friday's home conference game against Rancho Buena Vista (Vista, CA) by a score of 58-20. The San Dieguito Academy varsity basketball team won Tuesday's home conference game against Oceanside (CA) by a score of 63-29. The San Dieguito Academy varsity basketball team lost Friday's away conference game against Vista (CA) by a score of 59-42. RESULTLoss Girls varsity basketball vs. El Camino. The San Dieguito Academy varsity basketball team lost Tuesday's home conference game against El Camino (Oceanside, CA) by a score of 52-43. RESULTWin Girls varsity basketball @ Sage Creek. 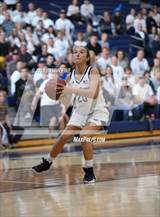 The San Dieguito Academy varsity basketball team won Friday's away conference game against Sage Creek (Carlsbad, CA) by a score of 52-42. The San Dieguito Academy varsity basketball team won Tuesday's away conference game against Rancho Buena Vista (Vista, CA) by a score of 65-30. 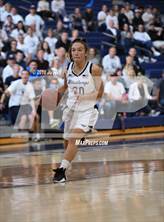 The San Dieguito Academy varsity basketball team won Friday's away conference game against Oceanside (CA) by a score of 70-36. RESULTWin Girls varsity basketball vs. Vista. The San Dieguito Academy varsity basketball team won Tuesday's home conference game against Vista (CA) in overtime by a score of 56-50. The San Dieguito Academy varsity basketball team won Saturday's neutral tournament game against Fountain Valley (CA) by a score of 36-34. RESULTLoss Girls varsity basketball vs. University City. The San Dieguito Academy varsity basketball team lost Friday's neutral tournament game against University City (San Diego, CA) by a score of 43-35. The San Dieguito Academy varsity basketball team won Thursday's neutral tournament game against West Hills (Santee, CA) by a score of 58-44. RESULTWin Girls varsity basketball vs. West Adams. The San Dieguito Academy varsity basketball team won Wednesday's neutral tournament game against West Adams (Los Angeles, CA) by a score of 49-21.